We’re a week into a two month SUP road trip adventure from San Diego to Seattle and back down the Pacific coast but it feels like it’s been a month. 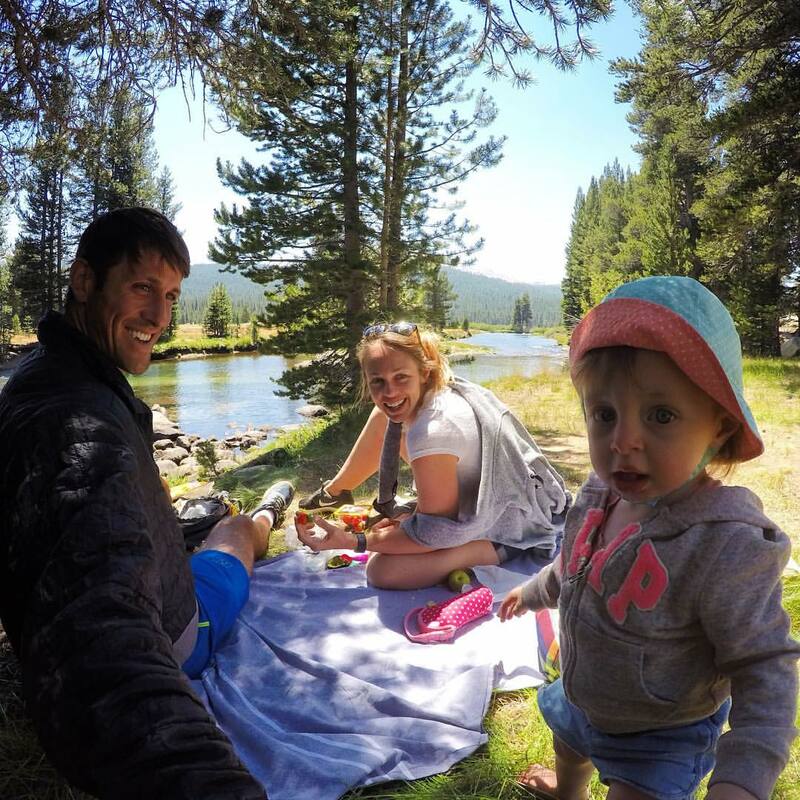 My wife and I are quickly finding out that traveling with a one-year-old tends to make the days, and especially the nights, feel much longer. A day into our trip I realized I needed to drastically adjust our well planned travel itinerary. It was pretty easy to do. Simply take the normal ‘traveling with no kids travel time’ and double it! If you are an experienced parent then this is all obvious information to you. In all of my new parentness and optimism, I chose to ignore the the reality that road trips are much different with a little one. After a week on the road, I have a new respect for road warrior families complete with their stick figure family decals, mini-vans, TV entertainment systems and gear bursting out of the trunk. Without getting into the messy details, the past week has been quite a reality check as a new parent. It’s all good though! We’ve made it to Hood River via Yosemite and Lake Tahoe and the wind is cranking for down-winders. 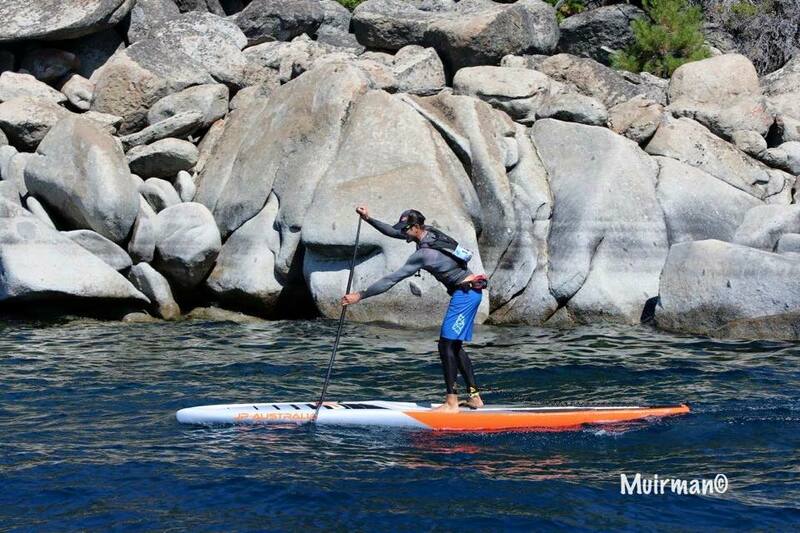 After a few days of driving from San Diego to Lake Tahoe, I competed in the 10th annual Tahoe Nalu SUP Festival on North Lake Tahoe. It’s pretty amazing that this event has been going strong for a decade. More than that, it’s hard to believe that stand up paddle racing is more than a decade old! I always enjoy visiting and competing in Lake Tahoe. A Caribbean Sea in the mountains, Lake Tahoe should be on top of every paddlers bucket list for it’s beautiful alpine scenery and crystal clear water. Careful how hard you exert yourself as the 6,000 ft of elevation will be sure to smack your sea level lungs back into reality. I’ve raced in Tahoe four times and no matter how good of shape I’m in it always feels like I’m gasping for air when I paddle hard. If it’s not the elevation that takes your breath away, then it will be the amazing vistas on the lake. Visit Sand Harbor for the full Lake Tahoe experience. Take away the mountains and Sand Harbor could pass for any of the best tropical beaches in the world. After the lung burning Tahoe Nalu 10-miler, we were off to Hood River, Oregon the next day. As a JP Australia team rider and west coast sales rep, I’m traveling with 10 boards on my new SportsRig Adventure Trailer. The trailer features a lightweight construction and motorcycle suspension that allows me to drive as if nothing is there. Passing semi-trucks through Oregon has been a breeze, if not a test of my wife’s nerves. This trip has been the perfect way to break in the new rig. Needless to say, if you have a SUP addiction and want to save on gas money, check out SportsRig.com for your next SUP adventure transport investment. Hood River is another must-paddle destination for any stand up paddler. The Columbia River Gorge funnels thermal winds through an 8-mile downwind run called the Viento Downwinder. Each side of the Gorge is flanked by towering cliffs and two 10,000+ ft. mountains in the distance. If you were going to dream up a paddling paradise, Hood River would be hard to top. This week I’ll be hosting a downwind SUP camp where I’ll teach campers the art of downwind paddling. I’m still learning the intricacies of downwind paddling myself and that’s what makes paddling so fun. There is always something to learn and improve upon. If we are not growing and learning then we are dying. Try something new this week and feel the satisfaction in your soul. I look forward to sharing the fun of dropping into countless bumps as the campers surf downwind in the Gorge. 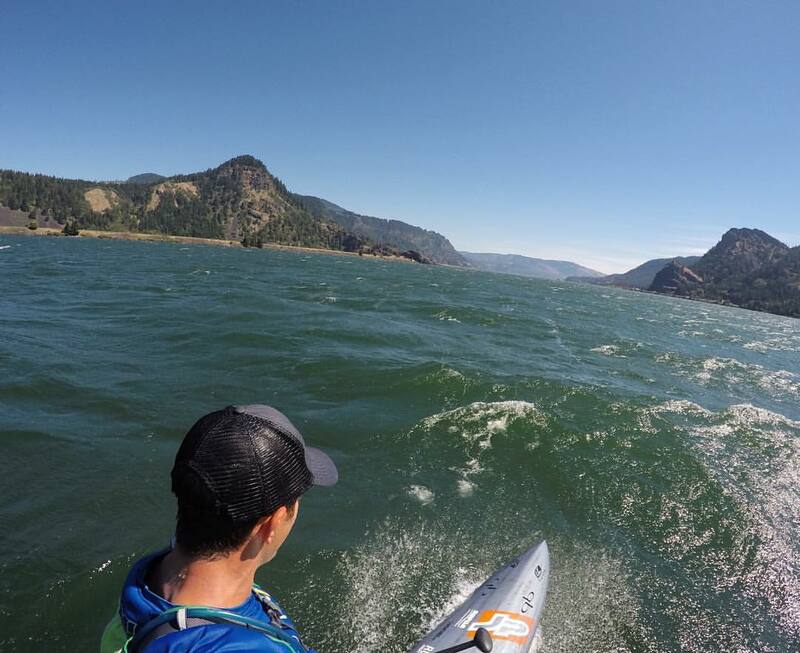 This weekend I’ll be racing in another great event, The Gorge Paddle Challenge. Top paddlers from around the world will be attending so it should be a tough weekend of SUP racing. Hood River will be home for the next few weeks so I’ll be sure to keep you updated with the downwind adventures. After Hood River we will head to Seattle for the Round The Rock race. From Seattle we’ll take the coastal highway back down to San Diego with stops along the Oregon Coast, San Francisco, Big Sur and finally Dana Point for the Pacific Paddle Games. I’ve come to terms with the snails pace and sometimes headache inducing reality of traveling with our baby girl. 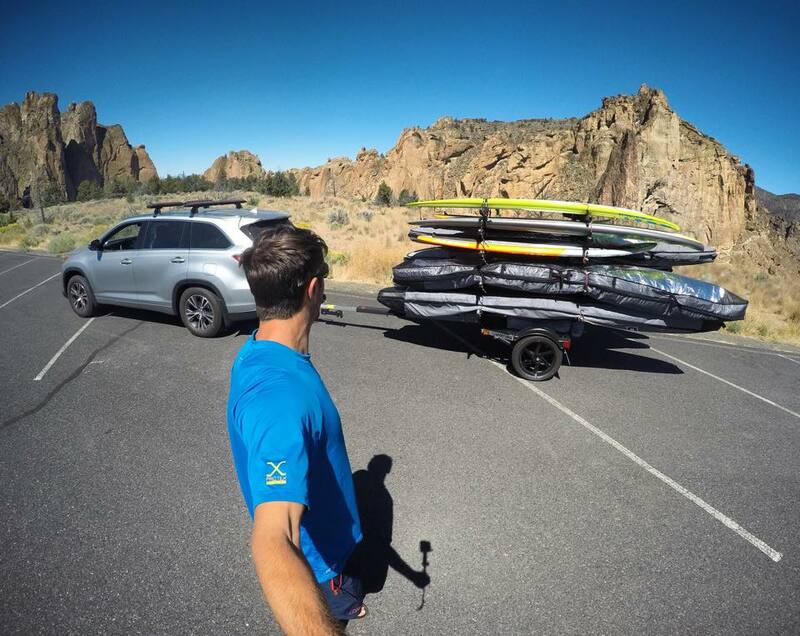 Now it’s time to downwind paddle and enjoy the rest of our epic SUP road trip!